"Cinematic and compelling, Parker’s The Girl Who Fell is terrifyingly vivid and breathless. This is an action-packed story that is impossible to put down or forget." The opening pages find the protagonist Zephyr in a dark house, alone, and about to come face to face with a tormentor. Flash back to three months earlier. Senior year is not exactly perfect with Zephyr’s dad suddenly taking off, but at least her field hockey team is on track for playoffs, and hopefully an acceptance letter from Boston College will arrive soon. Having the new cute guy, Alec, take an interest doesn’t hurt, either. As Zephyr’s relationship with Alec intensifies, her friendships suffer. His jealousy and insecurity weave a dangerous web, threatening to trap Zephyr. When he turns physically violent,the teen’s friends step up to help her realize she needs out. Ending the relationship won’t be easy. Parker expertly presents the complexity of abusive relationships. Having Zephyr, an intelligent, strong-willed, and practical character, trapped by a manipulative abuser illustrates how dating violence and abuse can happen to anyone. As for the often misdirected question “How does someone let this happen?” Zephyr never makes a conscious decision to let Alec control her. She finds herself justifying his manipulative behaviors as love. She is slowly pushed to and past her personal limits, emotionally and even sexually. Parker’s powerful cautionary tale highlights a terrifying reality for many teens. Zephyr’s story outlines warning signs that may be a lifesaver to others in similar situations. VERDICT-An invaluable addition to any collection. "S.M. 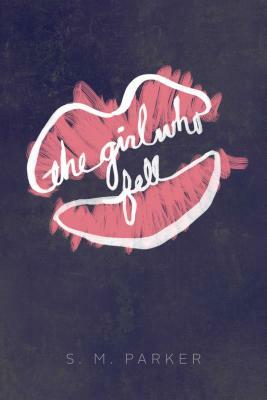 Parker’s The Girl Who Fell isn’t just an entertaining contemporary YA novel. This gripping story of manipulation and abuse marks the first great book of March, and it’s a shoe-in for one of the best reads this year." "This debut novel will appeal to fans of Alex Finn’s Breathing Underwater (HarperCollins, 2001/VOYA June 2001) and other novels that explore abusive relationships. . . . Readers will identify with the strong female characters and the conflict Zephyr feels as her romance descends into something more sinister."